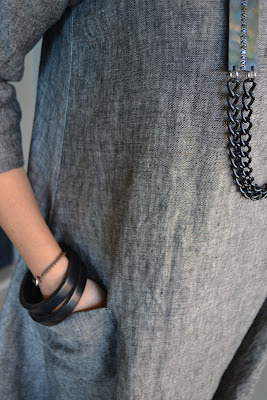 I have had a few emails and enquiries from sewers who have bought the Lily Linen Dress pattern, asking for more details on the construction of the feature pockets. 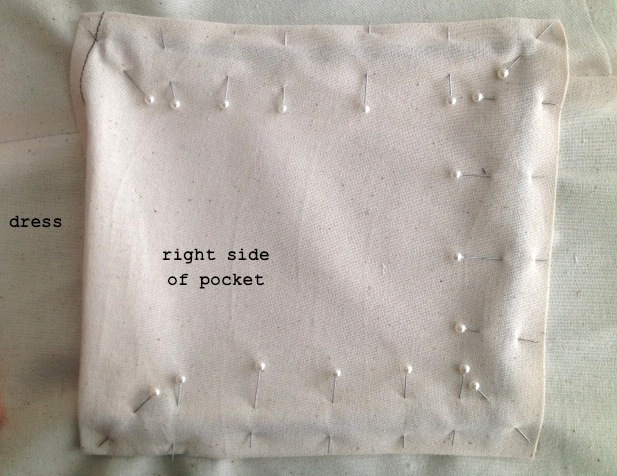 They're certainly not your conventional patch pockets, but a twist top angled pocket that really enhance the simplicity of the dress. 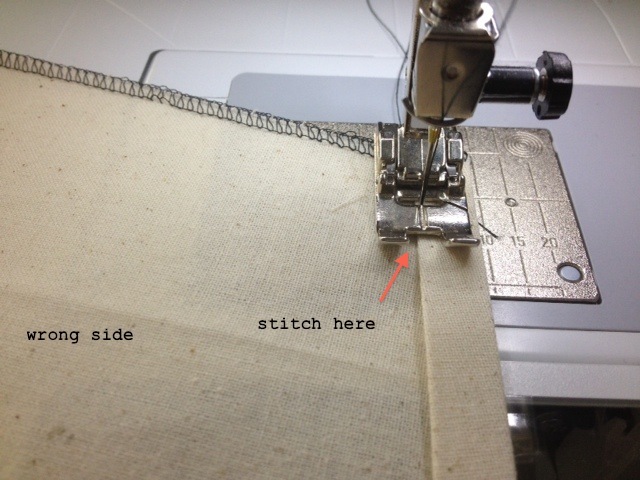 So for all those that emailed me and for future Lily Linen Dress wearers here is a step-by-step tutorial to help you out. 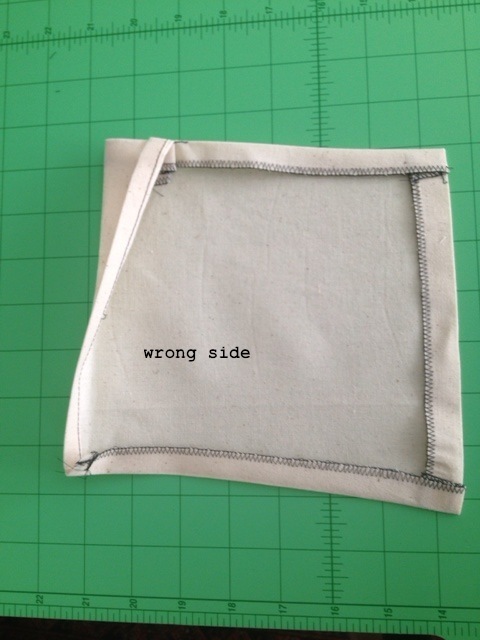 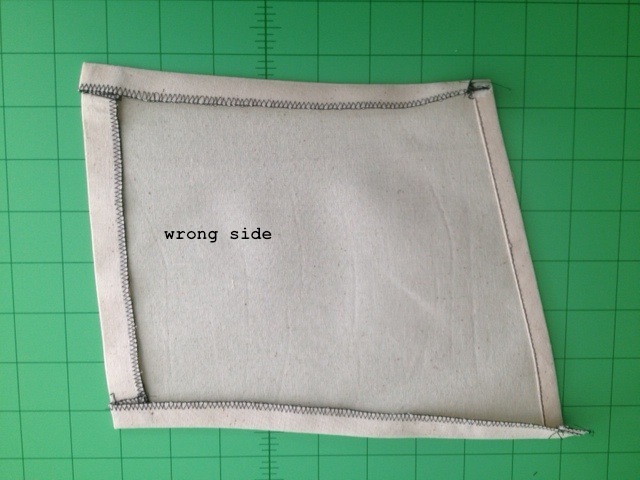 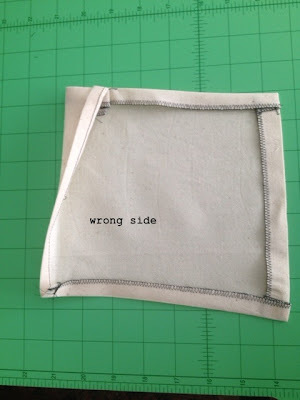 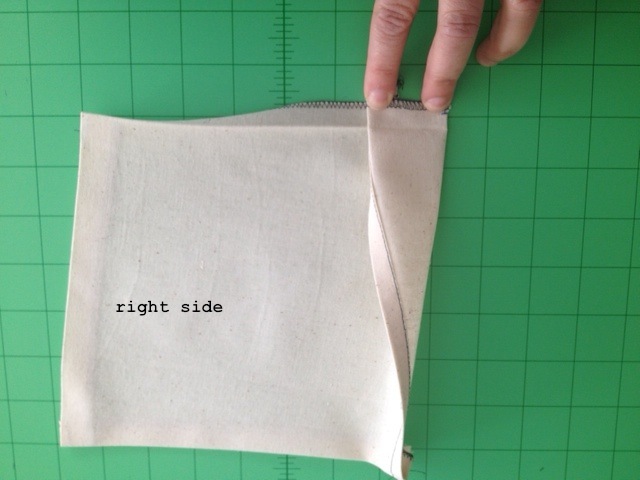 Note: For the purpose of instruction, calico and contrast stitching have been used. Of course, it looks even better in linen and matching thread! 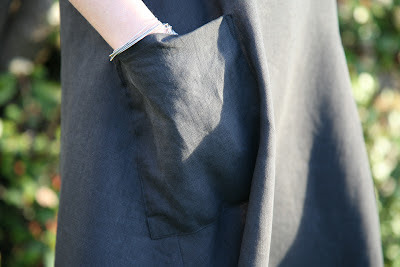 Above shows the pocket piece - they must be cut in a pair due to the peaked top on one side of the pocket. 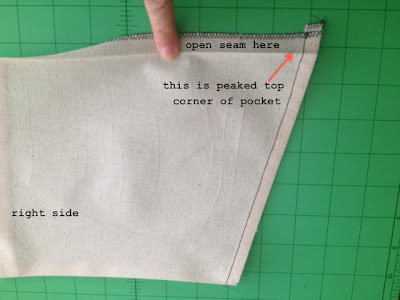 NOTE: follow the grainline marked on the pocket piece, DO NOT line up the pocket sides with the grainline of the fabric and nick (make sure they are noticable but not too long!) 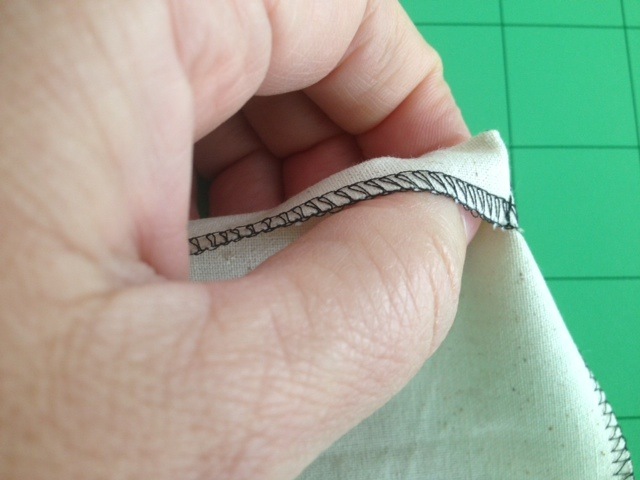 all notch markings when cutting. 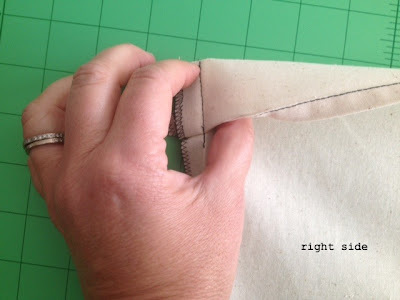 If done correctly your pockets will sit and twist as they should. Overlock side and bottom edges of pocket. 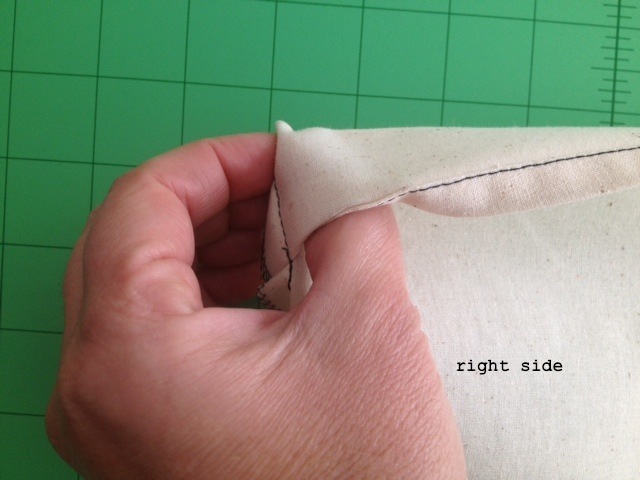 Double turn top of pocket at notch markings towards wrong side and press gently. Turn side seams of pocket in 1/2" towards right side of pocket (at bottom corners only). 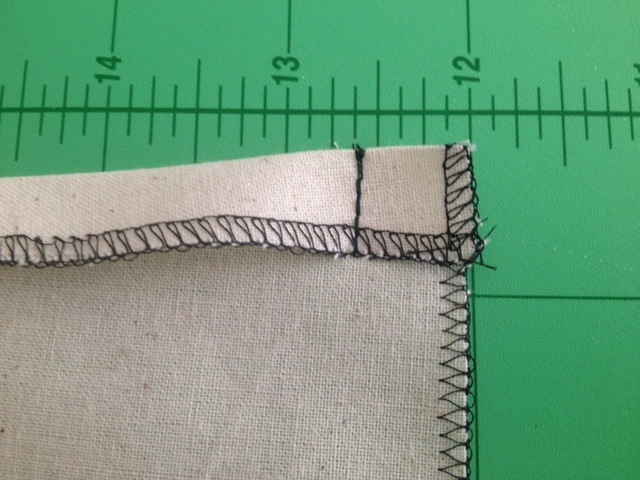 Stitch down this turn back 1/2" up from bottom edge. Bag out corner to right side (do not trim back seams). Press side and bottom seams towards the back of pocket or wrong side. 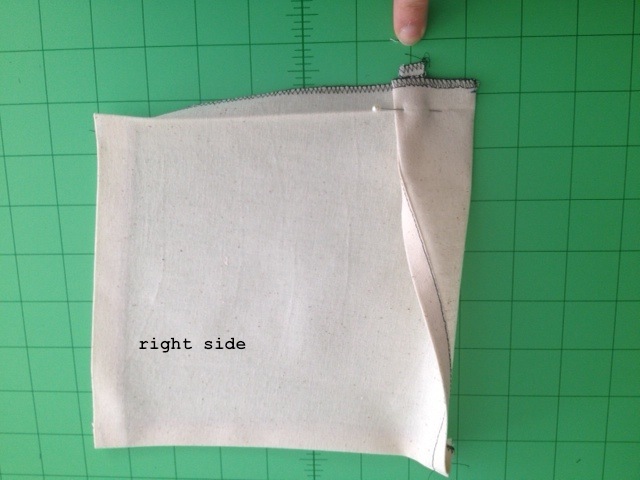 This is what the pocket should look like on the right side. 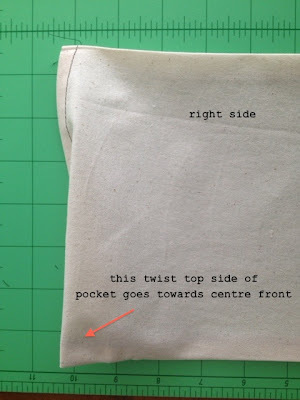 PREPARING THE TWIST TOP POCKET DETAIL: NOTE - the peaked top corner of the pocket is the section that has the twist fold at top and this side of pocket goes towards centre front of the dress. 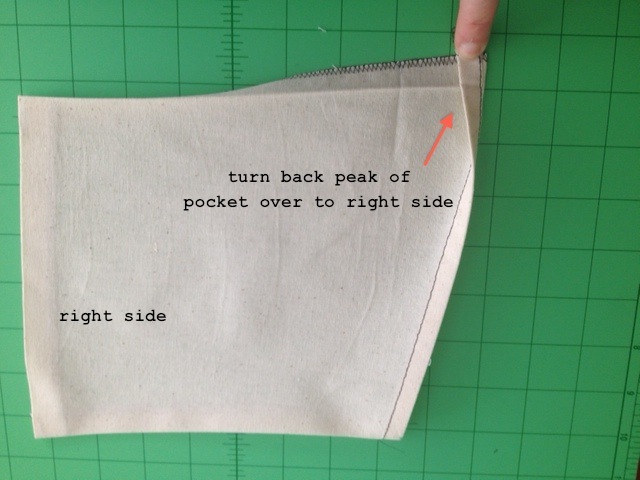 Open up the pressed back seam at peaked corner of pocket (approx. 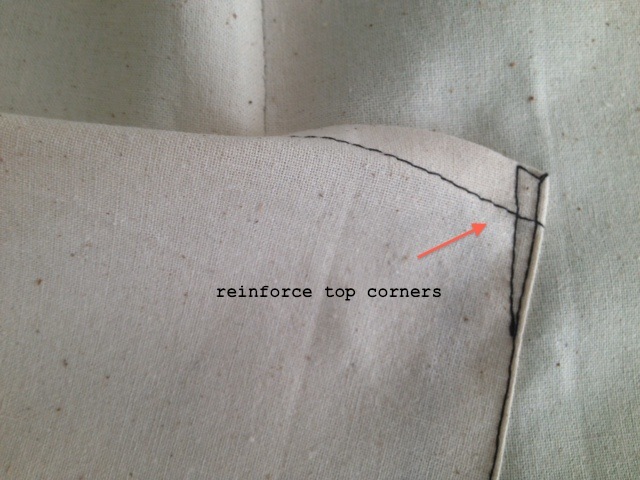 8cm down from top). 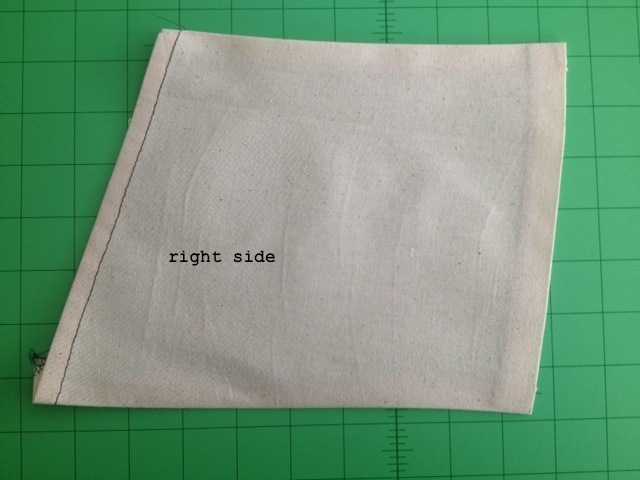 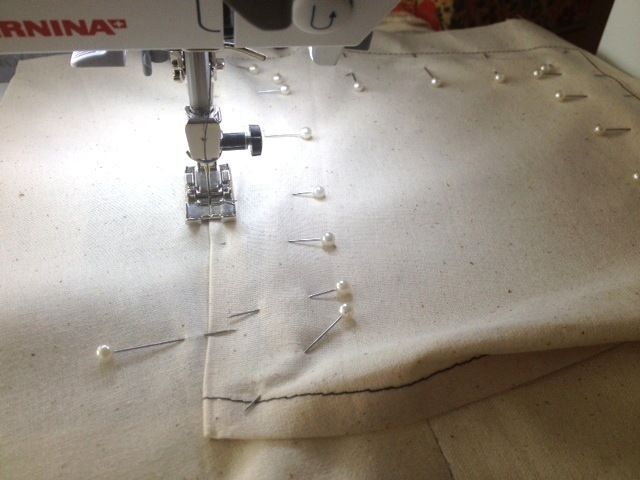 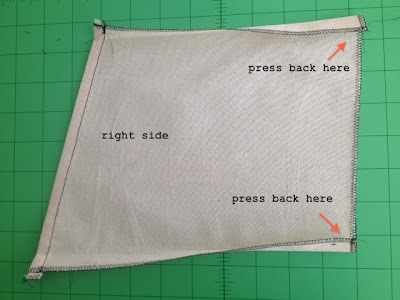 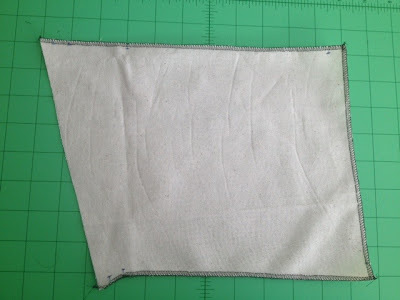 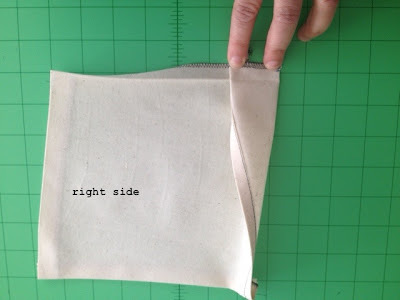 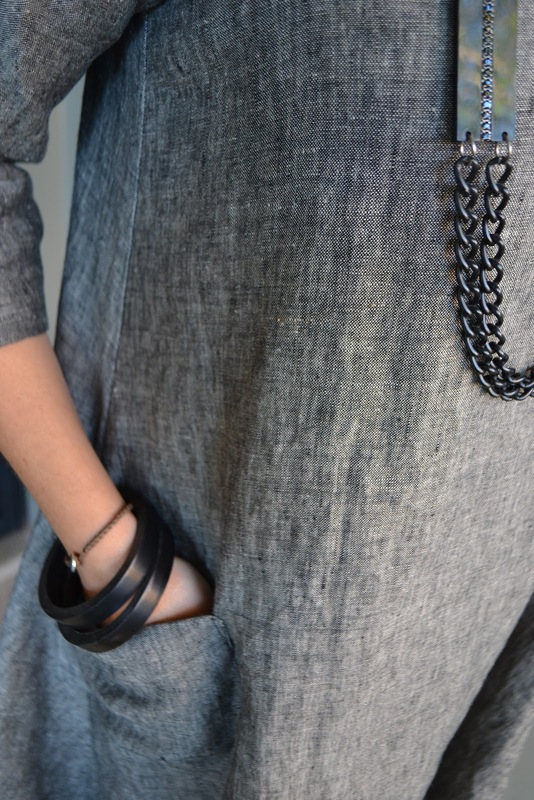 Turn peaked hemmed corner over 1/2" towards front of pocket (the right side) and press gently. 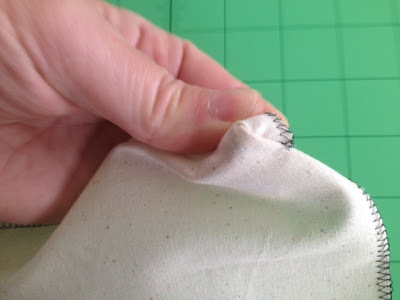 NOTE: for more twist you can fold over more than suggested 1/2" - but make sure you don't fold back past finished top pocket notch. 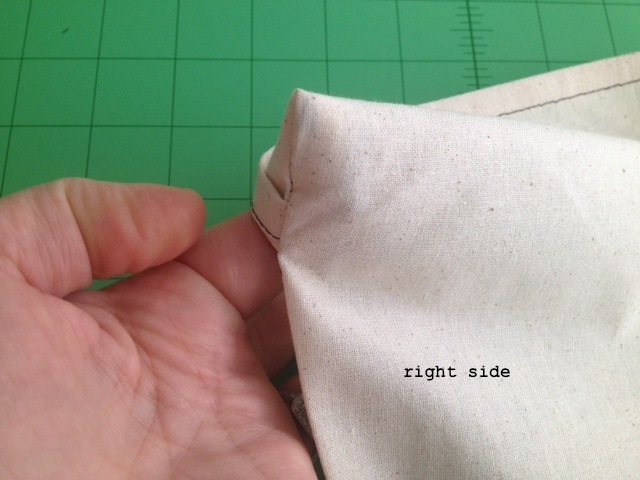 Then turn down rest of this side of the pocket towards front (right) side. Pin in place, making sure that the side seam is open. 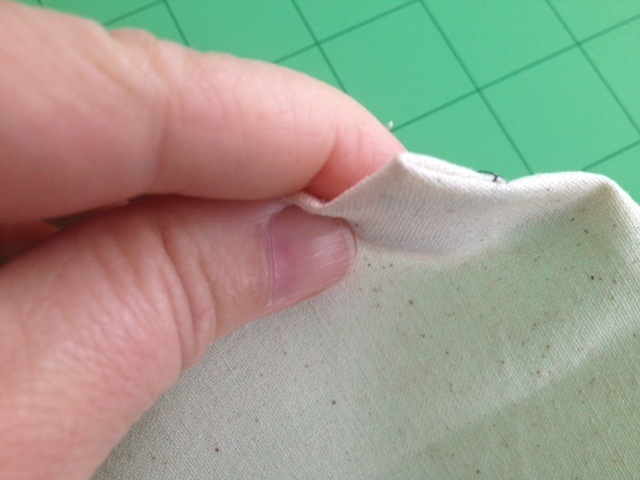 Stitch this all down 1/2" in from raw (overlocked) side edge or at crease mark where you ironed back earlier. 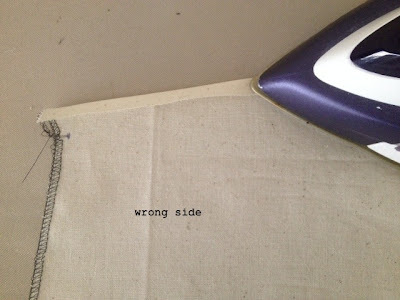 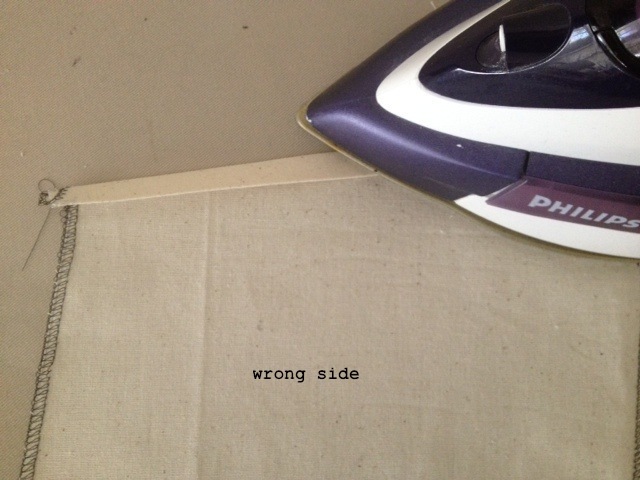 Bag out this corner to right side and finger press this top edge of pocket. 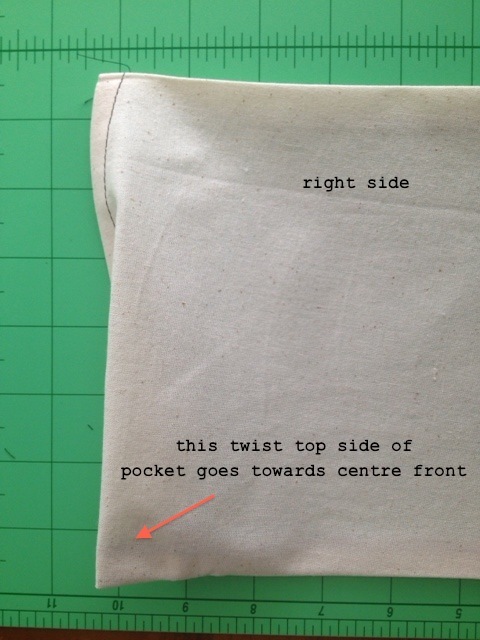 This is your twist top pocket! 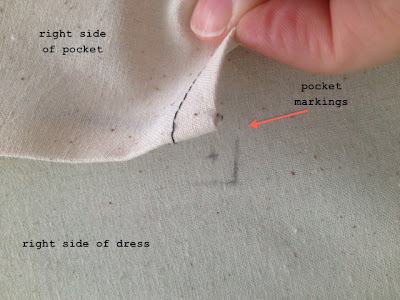 ATTACHING POCKETS TO DRESS: pin pocket bag to pocket markings on the dress. 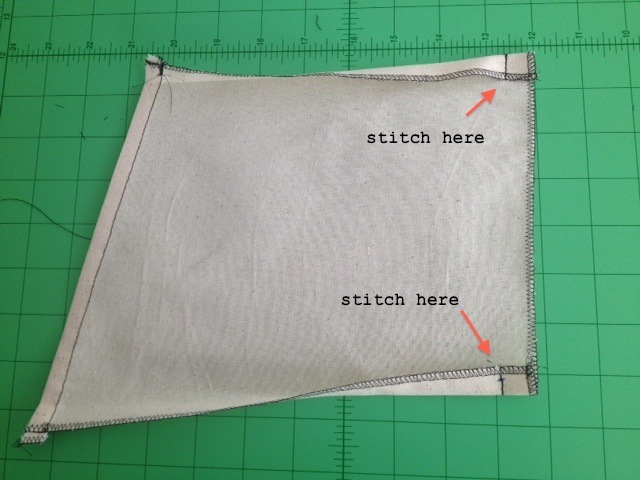 Note: finished pocket should sit 1/4" past these markings. 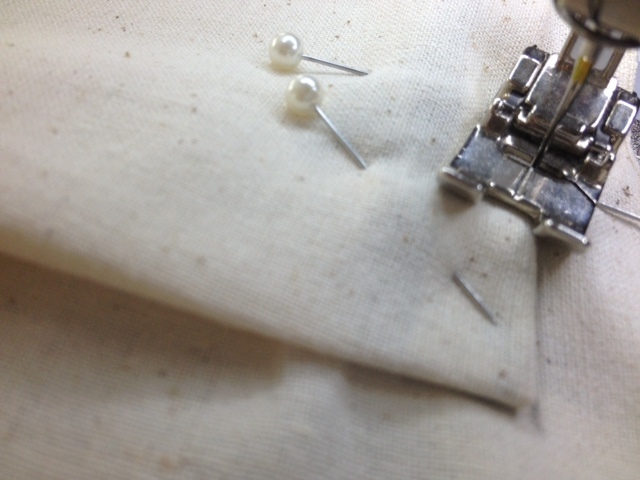 Pin pockets securely and evenly into place on dress. 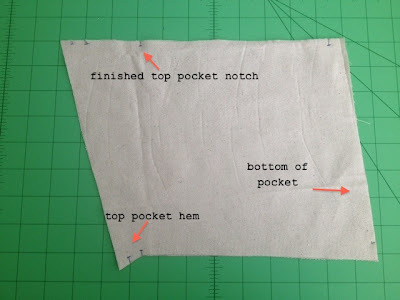 Note: Make sure that the top of the pockets are not pulled too tight, the twist top of the pocket should sit out a little when placed onto dress markings. Pin stitch (or edge stitch) around pocket edge. Happy sewing everyone, I hope you've found this tutorial helpful.